No, I'm not talking about spooning in bed. 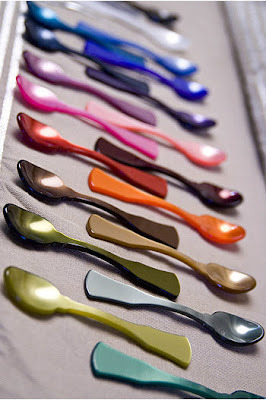 I'm talking about these colorful acrylic spoons from Sabre that you can pick up at Gracious Home. I am in LOVE with them!! 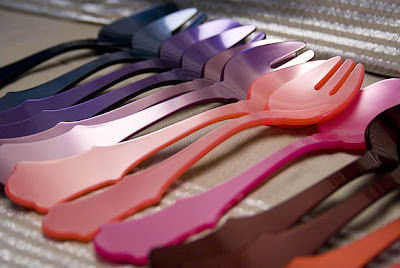 They are inexpensive, colorful and most importantly would be a fabulous addition to any table setting! I might just have to order a set of spoons for myself, and maybe a set to keep on hand as a fun hostess or shower present. What do you think? However will I pick just one color? To satisfy my color cravings today maybe I'll get a rainbow set too. I saw these this summer on Nantucket. I think they are so charming. Perfect as you say for a hostess gift. I think they'll be especially fun during the warmer weather for a festive table setting! those are great. I would frame them. Okay, these are too cute!! OMG! This is so weird! I bought these (or ones really similar) today from a boutique. I was getting ready to write a post about them! Gorgeous! 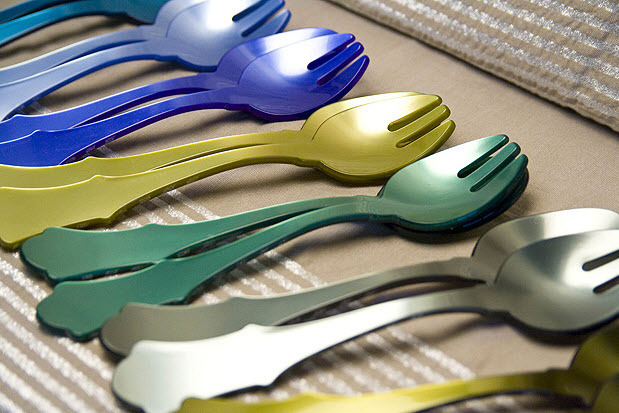 I live really close to the Gracious Home on the UWS so I just might have to pick these up! Sign me up for a rainbow set! What an amazing find!!! LOVE! i adore sabre... anything they do is amazing.. These are fantastic! I want!